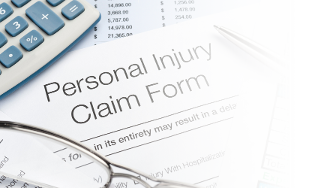 One of the hardest things to deal with in the world of law is personal injury. Indeed, a lot of people write and ask whether or not they can handle personal injury claims on their own. After all, the insurance company will just contact them, right? Everything will be made normal and they will not have to fight for anything. Folks, if it were that easy, there wouldn’t be so many commercials for solicitors at all! You have to realize that if you have been injured and it’s not your fault, you will need to have a lawyer help you out right away. You don’t want to try to find yourself worrying about every single thing just because it’s out there — here’s what you need to do. If the accident has occurred recently, you should make sure that you’re getting someone to take down the details properly. Do it as soon as possible, since the event is still fresh in your mind. You don’t want to find yourself being unable to really get anything done because you just can’t remember everything. If you can’t remember the things that occurred, the other party’s lawyers may pounce on that. You need to let your lawyer know exactly what happened so that they can do their own preparation work on the side. That’s the best way to go, and it will lead to a much higher settlement if the other party really doesn’t want to take it to court. Now then, can you do all of this on your own? Not really. You see, personal injury is a very complex subject. You want to go with a lawyer because they can get you a much higher compensation award than if you just went on your own. The insurance companies will not take you seriously because they know that you don’t know everything there is to know, and this will end up coming back to haunt you. If you’re worried about the cost of hiring a lawyer to handle your case, remember that you don’t have to necessarily pay for it up front. The lawyer of your choice may be able to work with you on a “no win no fee” basis, which means that you wouldn’t have to deal with any type of problems paying them. If you win, they will take their fee as a percentage of the total award. This means that you will not have to dig out of your own pocket to pay them. If you lose, then they part with you on good terms, wishing you the very best. However, the lawyer is always going to figure out whether or not they can really take on the case for you. You still need to figure out what you’re going to do from here — don’t think that you have to rush the process, but you need legal representation as soon as possible. Don’t try to handle it yourself in order to save some money. That’s the wrong way to go about it, and it’s going to end up biting you in the long run — try to avoid that, and you’ll be just fine. Good luck with everything!